“Who loses if two bulls are fighting?” The answer is very simple, “The Grass”. I heard this from an American guy I saw the other day and although very simple it is very very profound. One of the things I have talked about again and again here is a very simple concept, but one that I believe is very very important. The poor, do not have the luxury of the rich to be divided. Think about it. We get by in our own individualistic ways simply because we have the finance and the freedom to do so. Those who are poor, do not I believe have that luxury. Churches do not have the resources and teaching to not come together, but they still remain separate. People struggle on their own, but they would be better working together. A simple point, but again important. 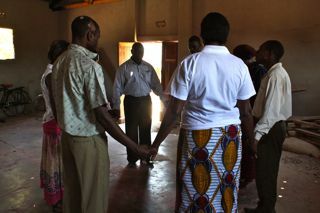 To go back to our proverb, “If 2 churches/people/anything are fighting it is only the community that suffers”. 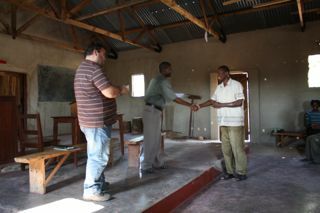 I really do believe that God can work in the hearts of villagers to do amazing things. Just the other day at our conference in Lusaka, I heard Nick talking to Cornelius where he was giving him the story of the work in Nchelenge. The bottom line is that bringing people together in the power of the gospel has not only lead to faith growing it has also led to the growth of cooperation and there are concrete examples of this in home grown initiatives that have sprung up. They are not financed from the outside, and they rely heavily on the involvement on those there. Is not this the way things can and should go? I realised today that I haven’t updated my blog for the whole of July. I actually did once, but my iPad lost the post….. unbelievable – see it even happens to ex-software engineers. So this is actually my second post of July! However it has been a very busy month. A couple of weeks ago I had a small team here from the UK. 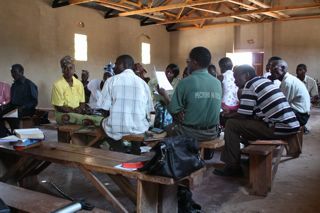 They spent some days with us in Mkushi to understand the work and then went from here to Lusaka, to hold a conference. 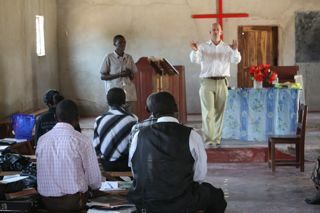 This conference was the first we had ever run for people from may disparate areas of Zambia. 24 delegates came together to here about the Life! 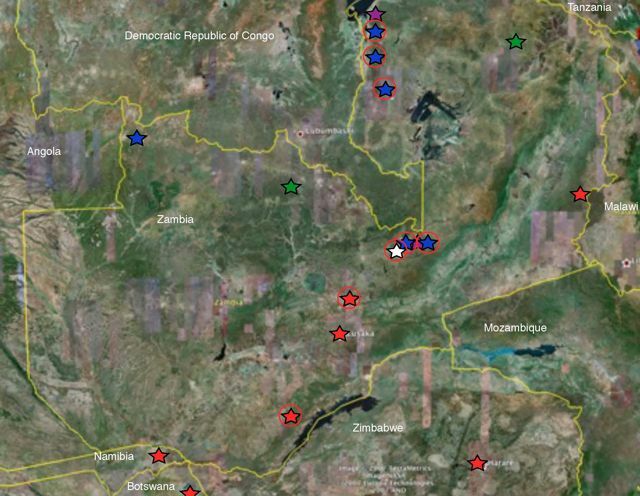 Initiative and the work that we have been doing in the bush. 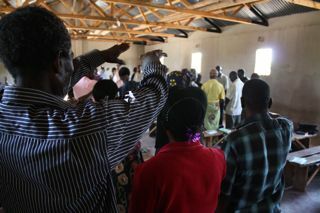 The hope is that some of these villagers/pastors may be in spired to do the same in their own area. They came from Namibia, Zimbabwe, North Eastern Zambia and the North West, quite humbling really considering there was frantic relationship building going on to get people there in the first place. Apparently, after the first talk (which I did) one of the delegates commented he had just been hit with a sledgehammer…….. all we had talked about was the divided nature of the church and community and what was required to fix it. Division, 2 bulls and all that…. it really cannot be the future. Hey! maybe we took it easier after that but over the 4 days we worked together to envisage a way in which the church can grow and be revitalised in the bush, so that life can come to all. All in all it was a very good time and I hope before the end of the year we will see some fruits come from this. Time intensive and very relational, but’s that the way you need to work here. I must tell you about 3 guys from Namibia I met. Well in fact they are Zambians, one 27 yrs old, the two others are 25. 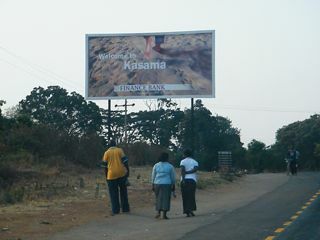 They work in Katima Mulilo which is in the Caprivi Strip in Northern Namibia. 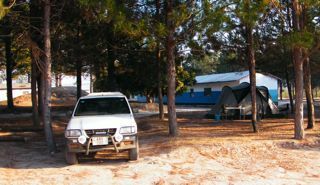 With no support and no help they have just gone, rented a house and are reaching out to those in the bush. Fantastic stuff! I’ve got great hopes of working together with them. The biggest thing I was impressed by, they were just willing to go and serve. That’s the Spirit we are trying to cultivate in the bush. Pray for them, their names are Sly, Keagan and Bernard. It has been an intensive time and to be honest I am absolutely done in. 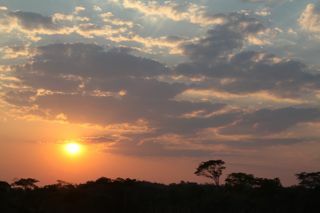 With that in mind we are going to namibia for a couple of weeks to unwind (and see our new Namibian friends). The most encouraging thing to me is that I know the work is growing and has a life of its’ own without me, even today there is a conference happening 10 hrs north of here to train new villages in using the Life! Initiative. Augustine texted me and told me that the turnout was “good” – that’s really encouraging, in fact it is amazing. Please keep praying that this work of God continues. 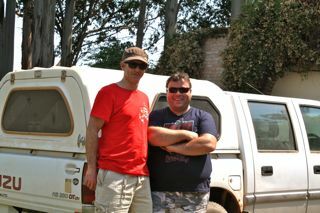 One of my colleagues Nick, when he was out here, met a guy called Francis in a village called Lilanda. 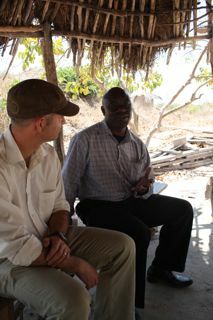 I’ve never met Francis, he is a friend of Peter Muyombe one of the people involved in the work in this area. He said to Nick, “This…(as in the work).. has helped us to know Jesus – thank you” (or words to that effect). How very humbling is that? The future is when there are hundreds of people like Francis, people I will never meet who take the name, the cause of Jesus Christ for themselves and become light and change in their community. Then the bulls will stop fighting and the grass won’t suffer anymore.